1. 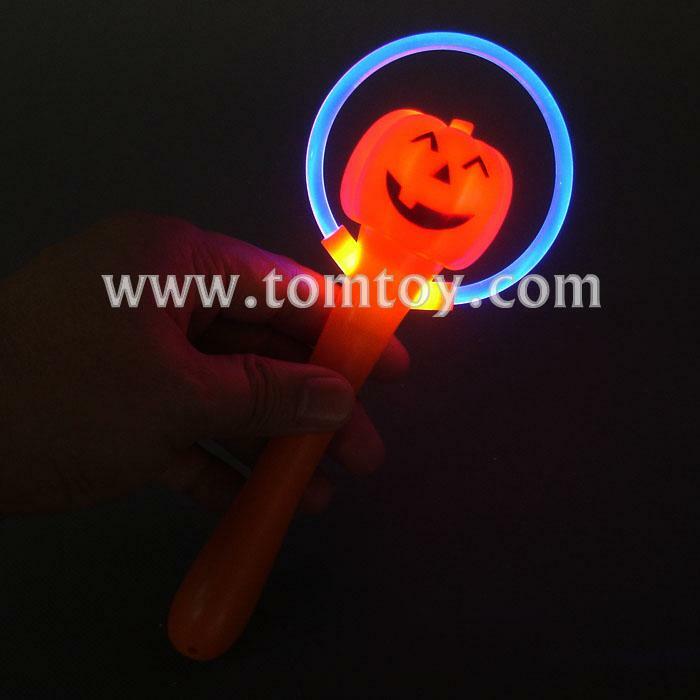 Approx 7.9" LED Light Up Pumpkin Stick Wands with bright red and blue LEDs and fiber optic round circle. 3. The red and blue light is alternatively flashing to light up the dark. 4. Perfect for gifts, party favors, halloween, stocking stuffers, baskets, special needs, therapy and so much more!